The second annual ‘The Swedish Affair’ event was held in Los Angeles on June 9th and 10th at the famous Rockstar Mansion in Hollywood Hills. The event was created last year to celebrate the Swedish creative industries (Games, Film, Music, Design, Fashion, and Literature) and was organized by the Swedish-American Chamber of Commerce of LA, the Swedish Games Industry, and Media Evolution. Henrik Johansson from SACC Texas participated in the event to meet the key stakeholders and learn from their experience to potentially host a similar event during SXSW in Austin in 2014. The Los Angeles event was a great mix of fun and business, including panel discussions with Swedish leaders and policy makers from Film, TV, Music, and Games. Ewa Björling, the Swedish Minister of Trade, gave an inspiring key note address about the growing importance of the creative industries to Swedish export, and how they help build the “brand of Sweden” globally. In 2010, Mrs. Björling launched a vision of doubling Swedish exports by 2015, and while that will be a tough target to hit, the creative industries have certainly done their part to help now representing 5% of total Swedish exports. Nolan Bushnell, best known as the founder of Atari Corporation, gave an inspiring speech (ending with a Swedish drinking song) and talked about how he currently is devoting his talents to enhancing and improving the educational process through his project, Brainrush. Numerous other Swedish companies presented at the event, including ACNE, Isabel Adrian, Volvo, Swedish Film Commission, Bitsquid, Zoink Studios, DICE, Avalanche Studios, Simplygon, Massive Entertainment and Great Works. 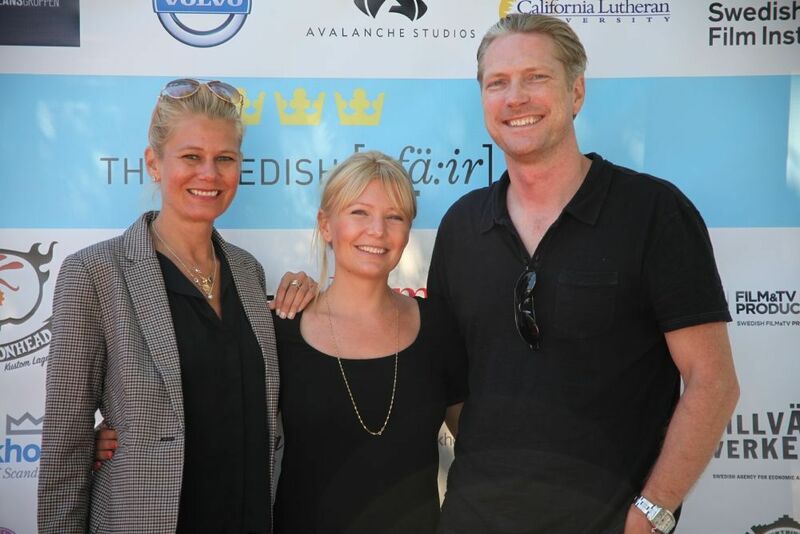 “Sweden has always been extraordinarily innovative and it’s an honor to be able to share some of the country’s top visionary talent with Los Angeles’s entertainment elite,” says Gudrun Giddings, President of the Swedish American Chamber of Commerce – Los Angeles. In addition to in-depth panels on business, exports, and fund raising the event also included some lighter fare, with several musical performances including world-renowned singer Yana Mangi performing traditional Sami melodies infused with rock and pop, the up and coming Rockabilly band Rosvo Rockers, indie pop band Act As If, which has been named ‘New & Noteworthy’ by iTunes Music and ‘Fuseworthy’ by Fuse TV, and the former front woman of The Concretes, DJ Victoria Bergsman (Taken by Trees). “This is creative Sweden at its best,” says Sten Selander, Curator of The Swedish Affair and SVP at Media Evolution. “Made by creatives for creatives, this open, informal, unique event will help movers and shakers, executives and international decision makers to create long-lasting relationships and develop even more innovative projects,” he added. During SXSW 2013 in Austin, SACC Texas organized one event celebrating Swedish music and another event for the Swedish interactive companies in town, both under the banner SxSweden. “We hope to raise the bar for SXSW 2014 and bring the Swedish Affair to Austin. With the collaboration from SACC LA and the Swedish participant companies and organizations, I believe we can create something really special next year.” says Henrik Johansson, VP of SACC Austin. Other Swedish dignitaries at the event included Jonas Hafstrom, the Swedish ambassador to the US, Anna Serner, CEO of Swedish Film Institute, and actors Dolph Lundgren and Peter Stormare.